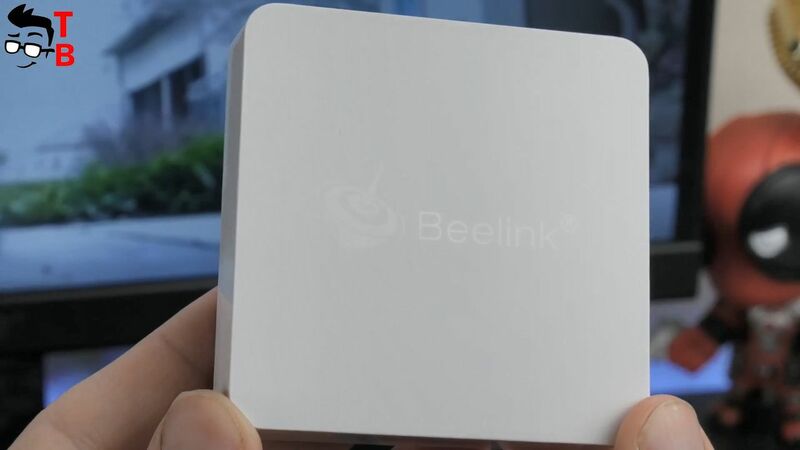 Beelink A1 Review: Do You Need Android TV Box with 4GB RAM? Nowadays, TV is not only cable television. It’s also applications, games, widgets and others. And if you don’t have smart TV, then you can buy Android TV Box and you will get all these features, about which I talked before. 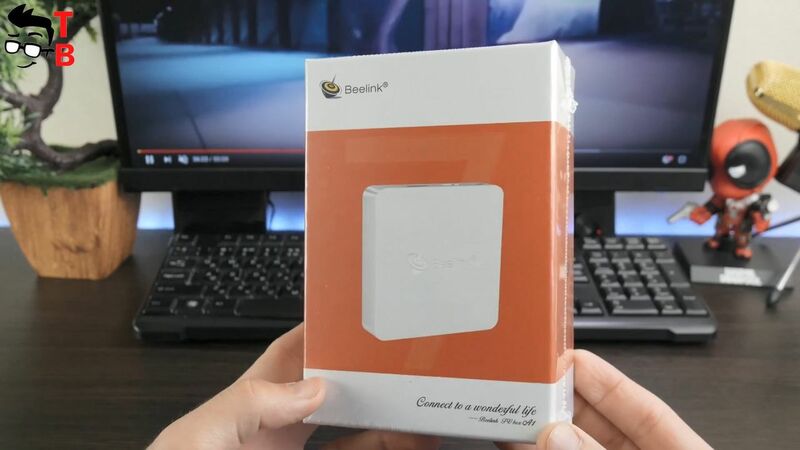 Beelink is one of the most popular TV Box manufacturer on the market. Its latest device called Beelink A1. 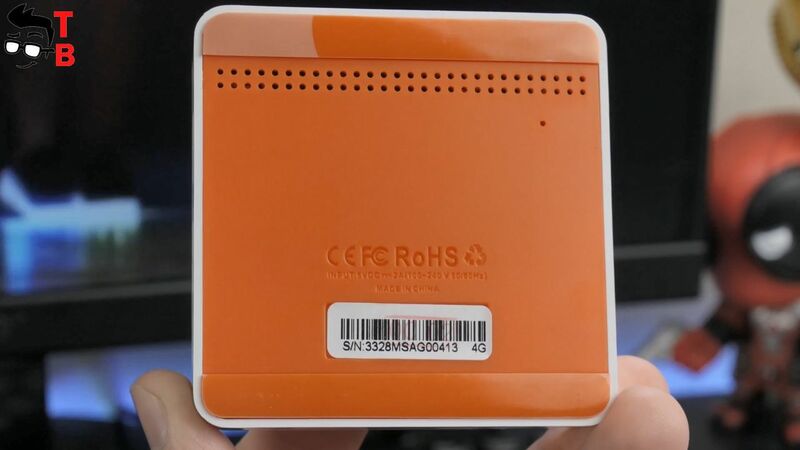 New Android TV Box has powerful chipset Rockchip RK3328, 4GB of RAM and 16GB of internal memory. Also, it supports 4K video resolution, dual band WiFi, Bluetooth 4.0, and other useful features. So, I received this device for detailed review. 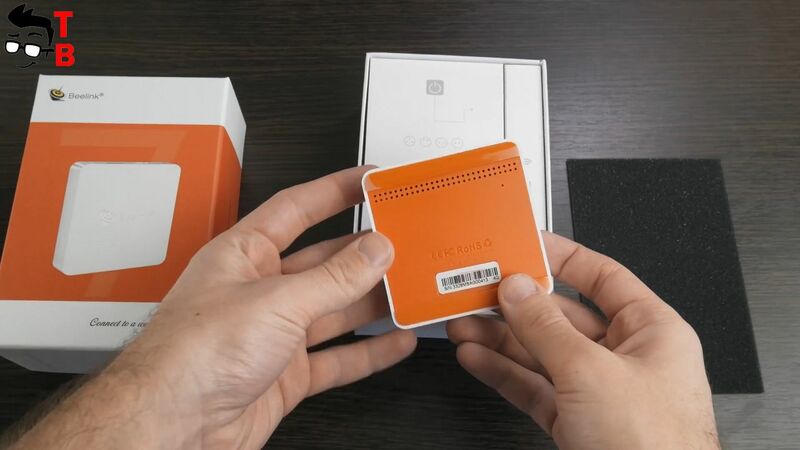 Let’s start it with unboxing. 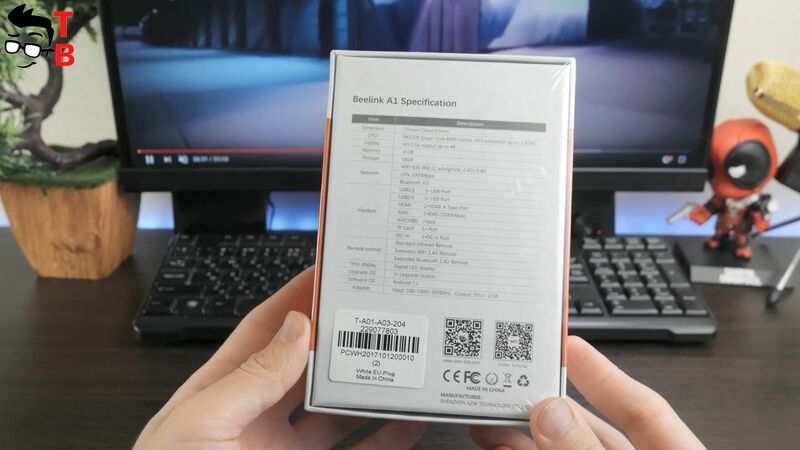 Beelink A1 comes in very nice cardboard box. First of all, I should note that it is completely in English. It is really nice, although the device came from China. 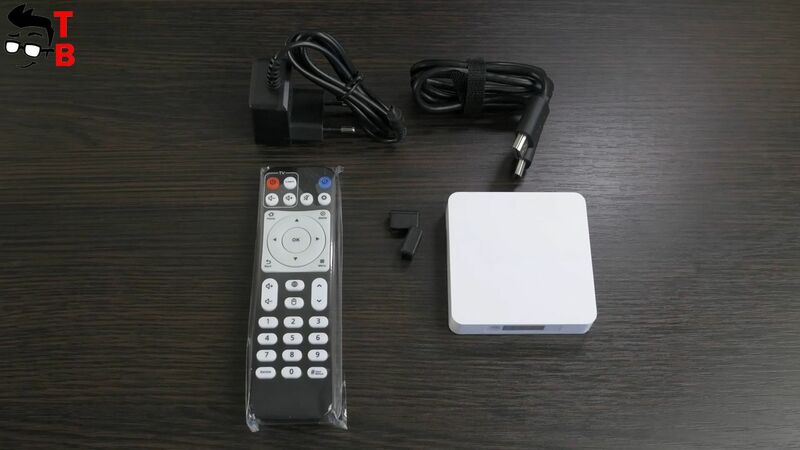 On the front panel we can see company logo, TV Box image and interesting slogan – Connect to wonderful life. The back panel has specification table. It is also completely in English. 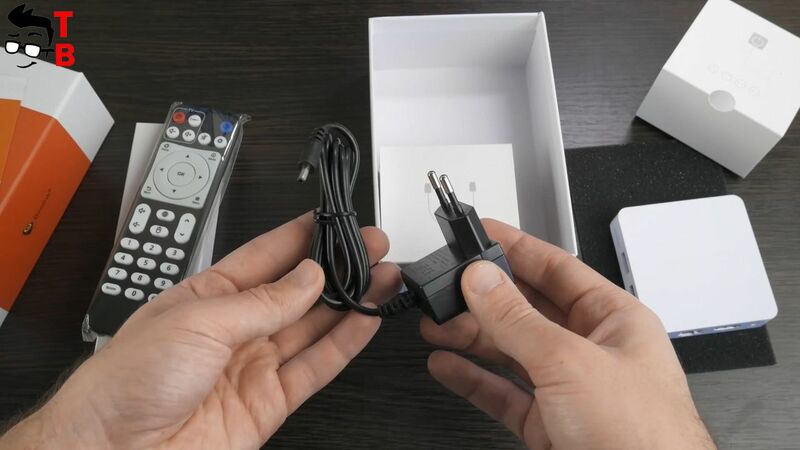 Inside the box you can find Android TV Box, power supply, HDMI cable, remote control and user manual. Beelink A1 has very beautiful design. It has full white body and orange bottom. The device is made of ABS plastic. Its minimalist design looks like some Apple products. 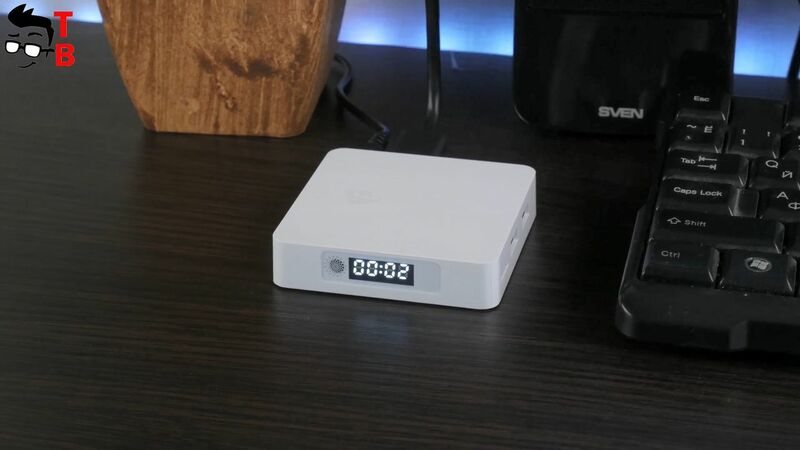 Also, Beelink A1 is one of the smallest TV box that I have ever seen. Its dimensions are only 77x77x17 mm. 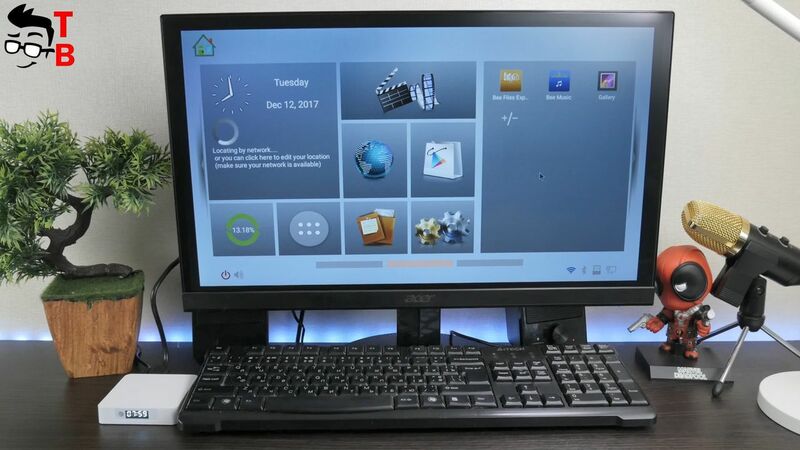 Another interesting feature of this TV box is LCD display. It shows the time. By the way, the front panel is IR receiver for remote control. 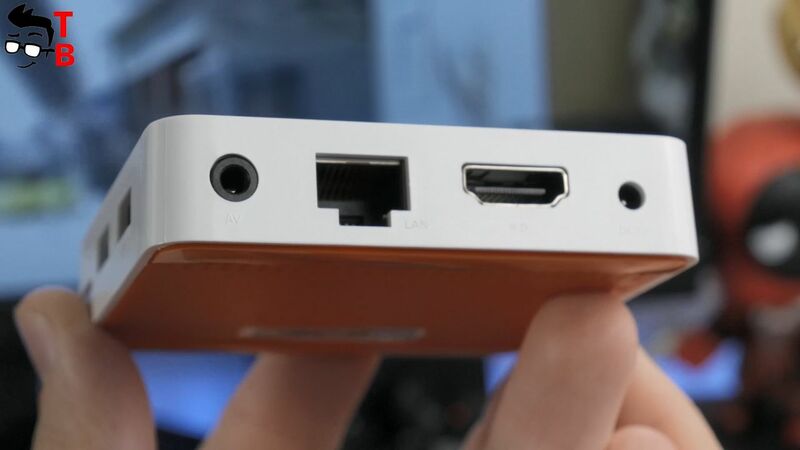 On the other side there is all necessary ports, such as 3.5 mm audio jack, HDMI, Ethernet and power. 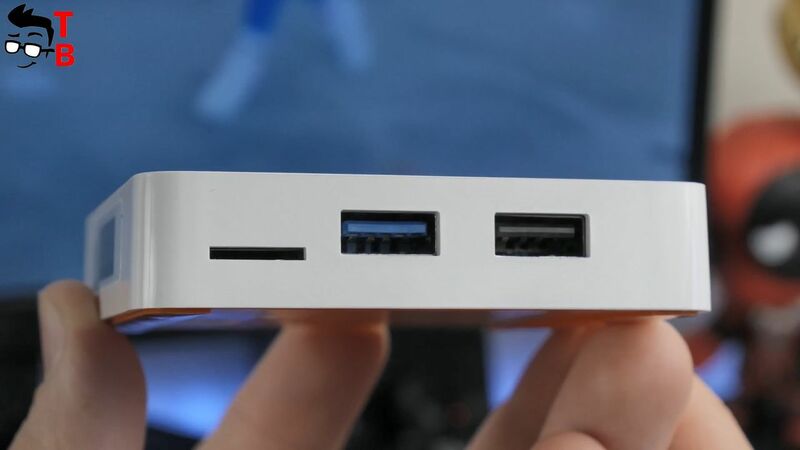 The right side has USB 2.0 port, USB 3.0 port and SD card reader. On the bottom of the device are ventilation holes for cooling. Beelink A1 is very nice TV box. It will be suitable for any interior. Remote control is very important for any TV Box. It works through IR blaster, but Beelink A1 supports Bluetooth. 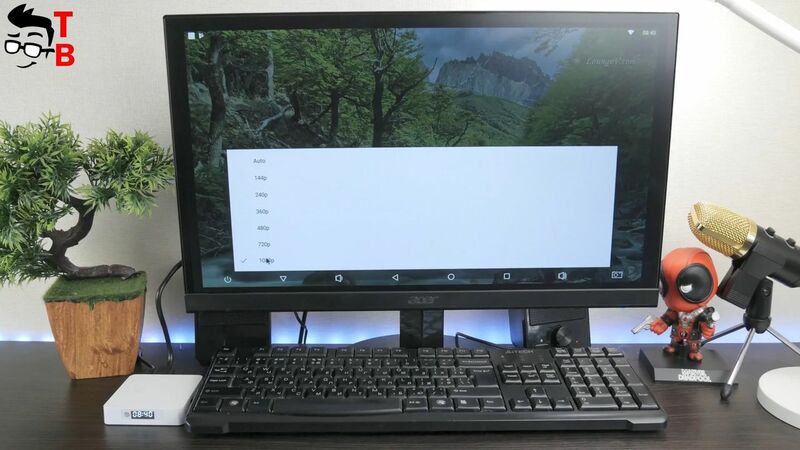 So you can connect Bluetooth mouse or keyboard. 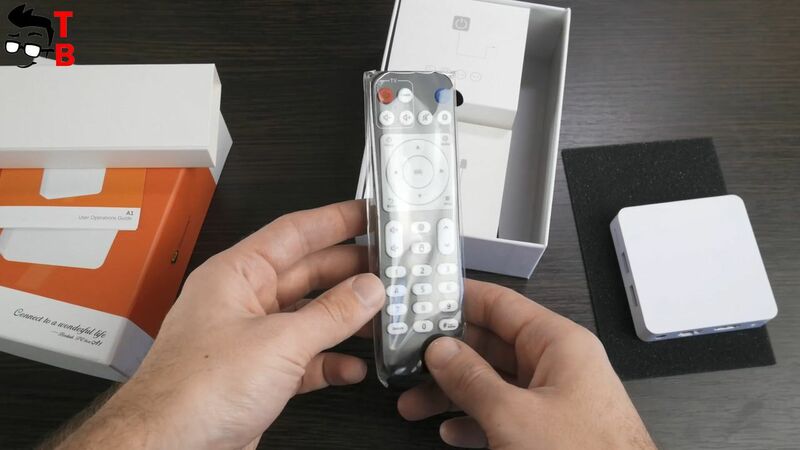 Remote control has many buttons, unlike Xiaomi remote control that comes with only five buttons. Here you can see standard buttons for TV, such as power, change volume and channels. 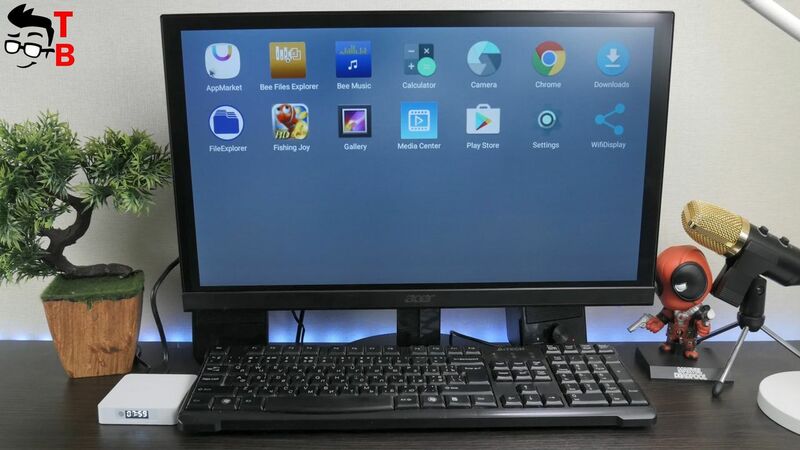 Also there is button with mouse that activates cursor for more comfortable control of Android system. 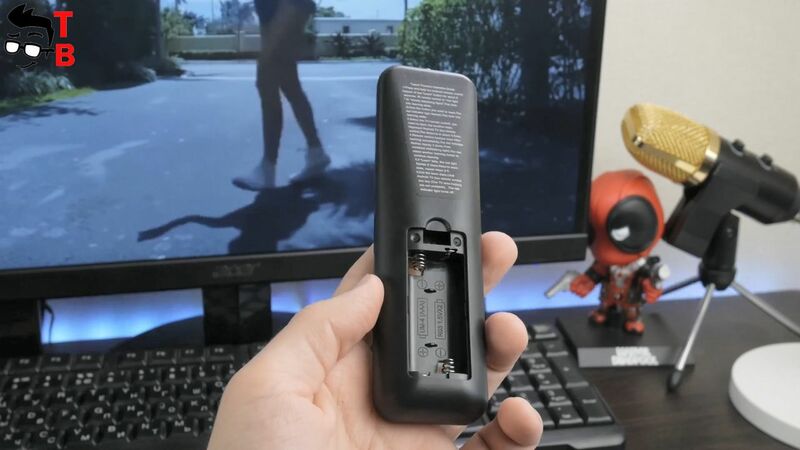 The remote control is powered by two AAA batteries. Now I want to talk about specifications. Beelink A1 is powered by quad core chipset Rockchip RK3328, 4GB of RAM and 16 GB of internal memory. Also, TV box supports up to 4TB of external hard drives. Beelink A1 supports Full HD, 2K, 4K video resolution and all popular video formats. Also, there is support for Bluetooth, dual band Wi-Fi, and cable Ethernet. So, Beelink A1 looks pretty good TV Box for home. Let’s look at user interface. Beelink A1 doesn’t need any configurations. 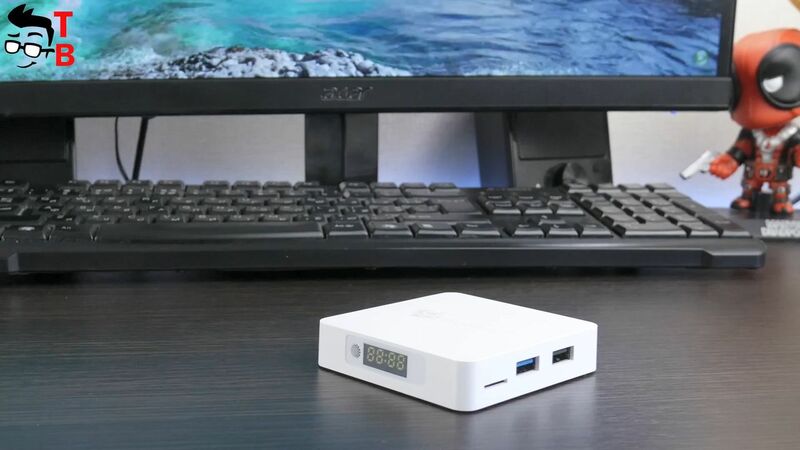 Just connect it to TV through HDMI, and connect to power supply. The home screen is very simple and intuitive. Here you can see time, gallery, browser, Google Play Store, settings, and menu with applications. I found YouTube by default. Also you can install any apps from Play Store or using APK file. 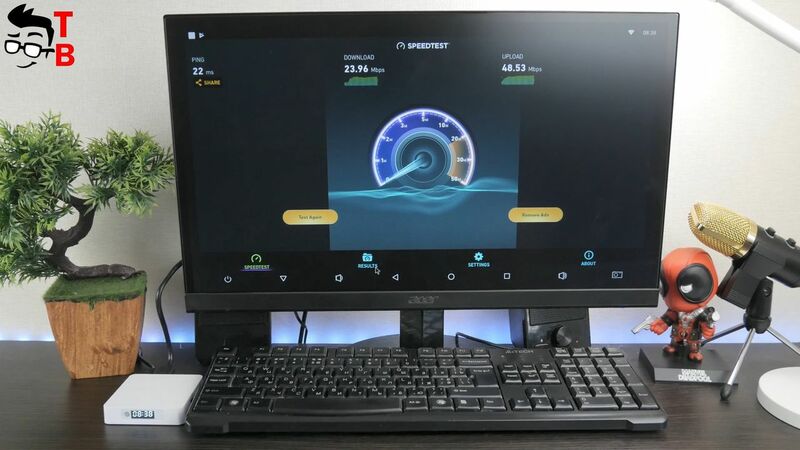 Now, let’s check the performance of Beelink A1. First of all, I would like to test WiFi speed. I have 100 Mbps connection at home, and TV Box shows about 25 Mbps download speed and 20Mbps upload speed. This is good wireless speed for streaming 4K content. 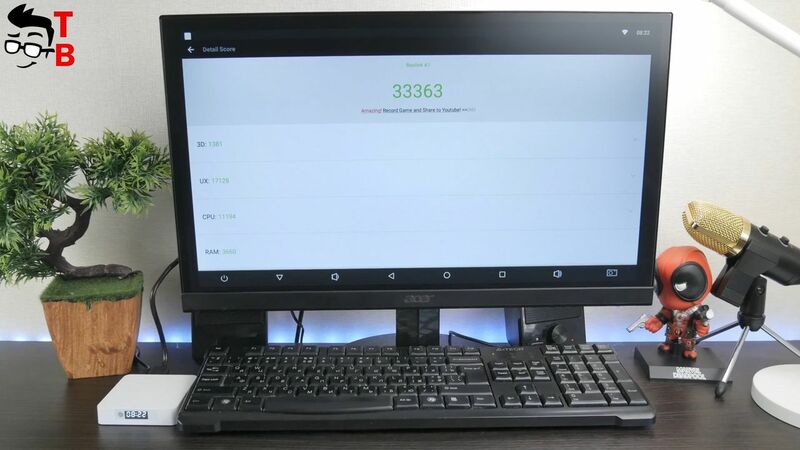 As for performance, then AnTuTu benchmarks shows about 33 thousand points. 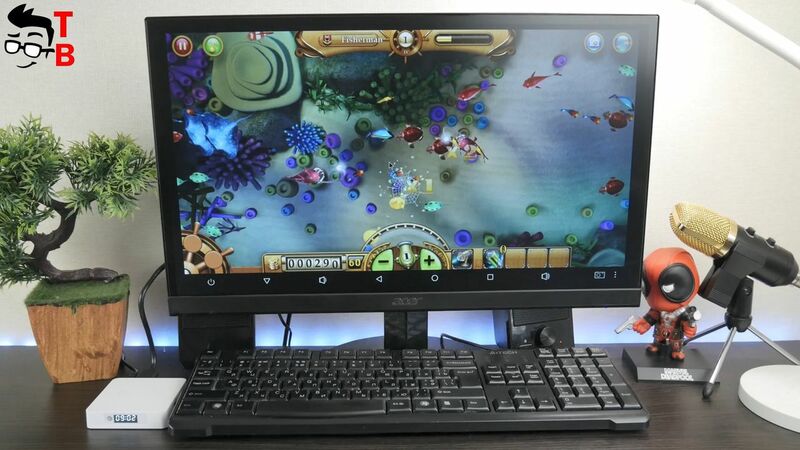 It is pretty low for Android smartphone, but good enough for Android TV boxes. 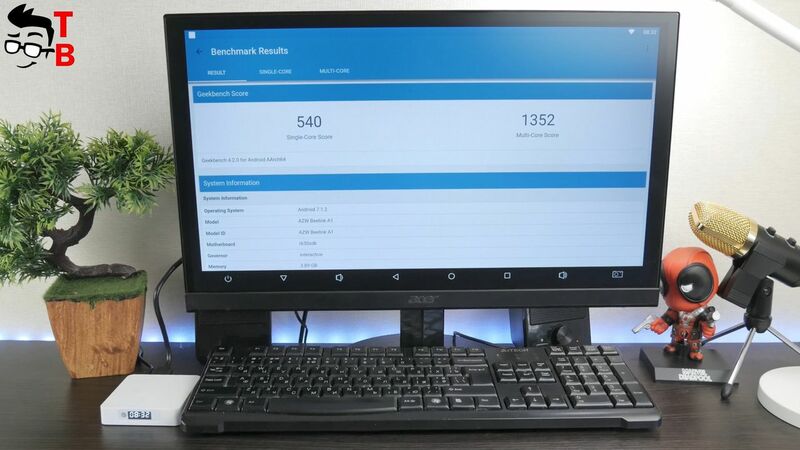 GeekBench 4 shows 540 points in single core test, and 1352 points in multi core test. Now, let’s watch some videos. First, I want to see available video resolution on YouTube. As you can see, Beelink A1 really play Full HD and even 4K videos. Also, I install some other applications to watch movies. All of them works smooth and fast. What about games? Let’s play some of them. 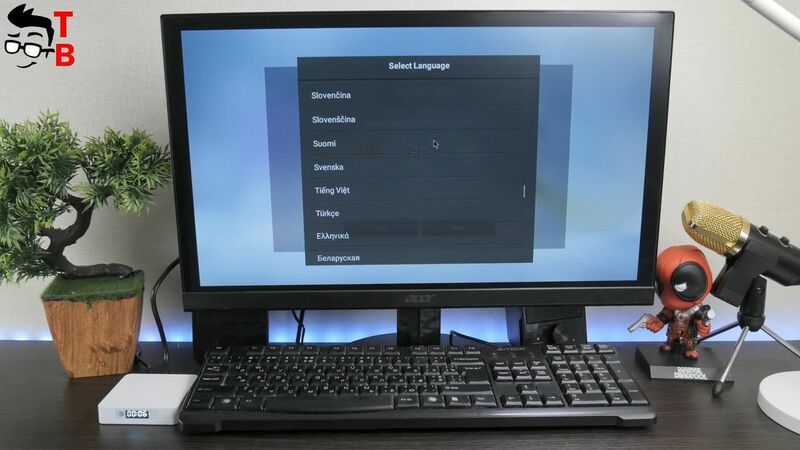 As you can see, it is possible to play games on this TV Box. However, I would not recommend running the most powerful games, but you can try. Beelink A1 is very interesting TV Box. 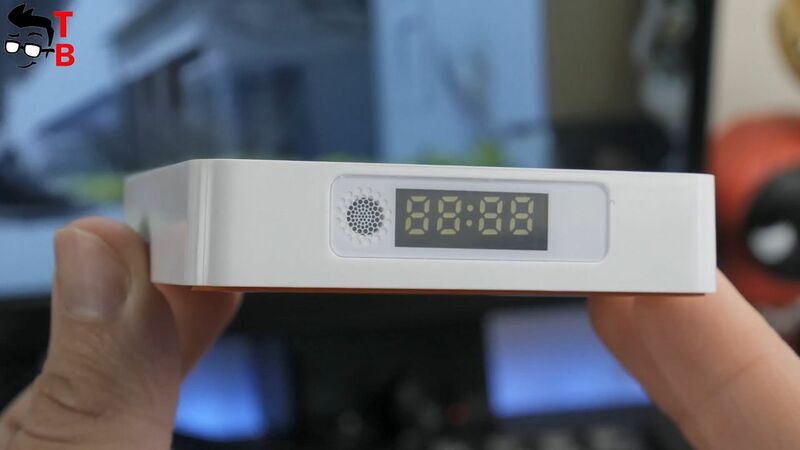 It comes with compact size, all necessary connections and even LCD display. 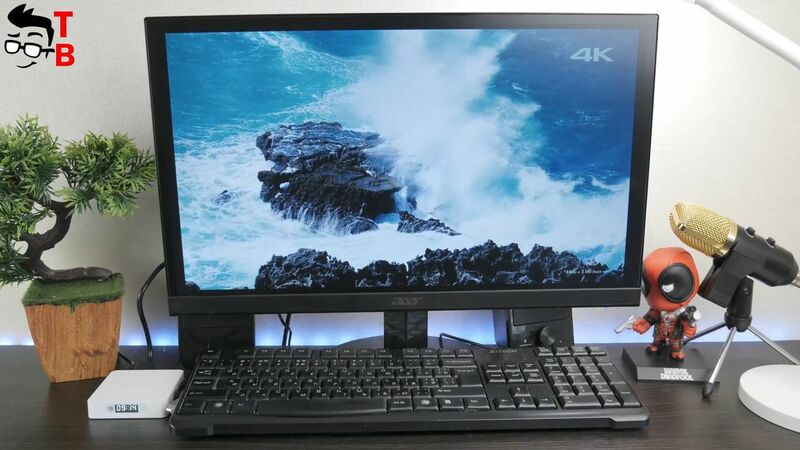 Its performance is enough for 4K content and most Android apps and games. 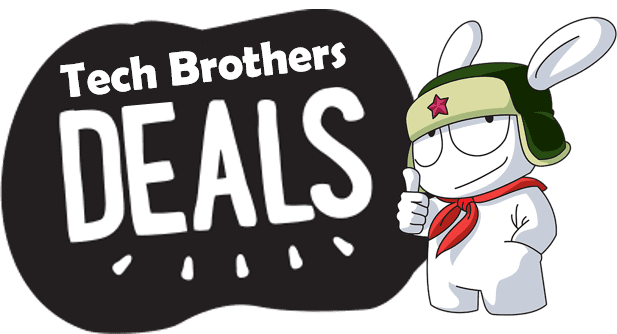 If you look for affordable Android TV Box, then Beelink A1 will be a good option. By the way, its price is about $60.